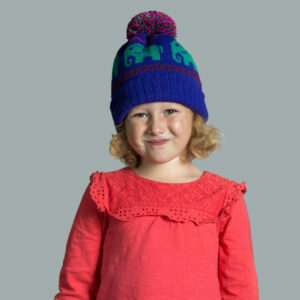 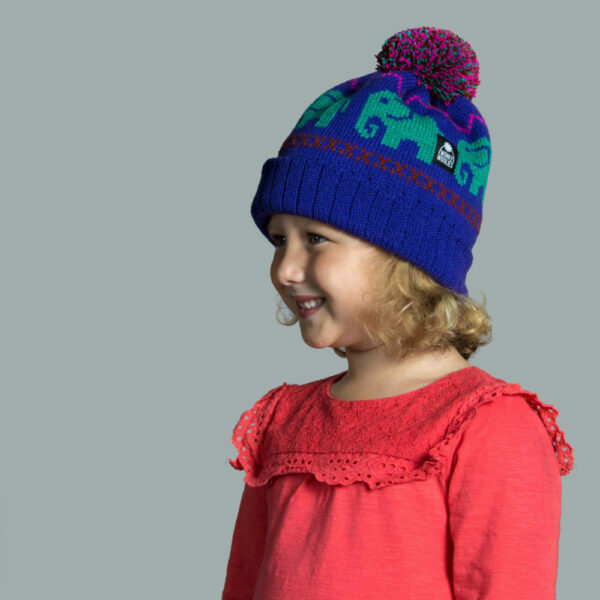 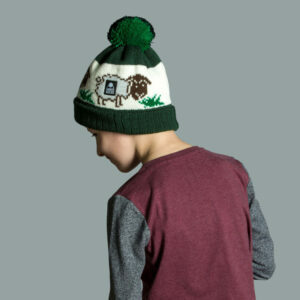 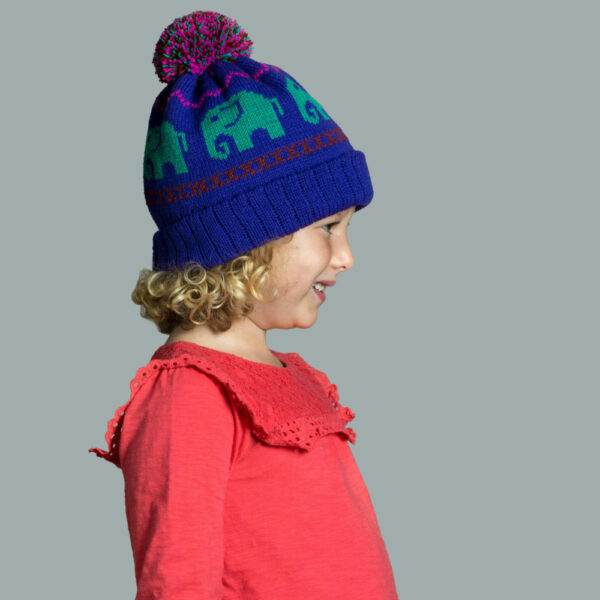 Purple, jade, rust and fuchsia combined together create our cute Nelly the elephant bobble hat! 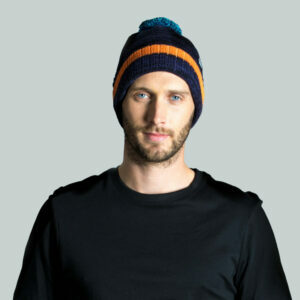 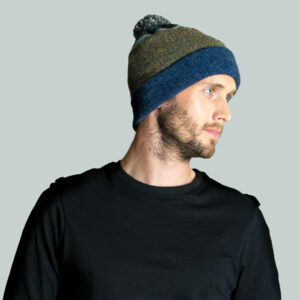 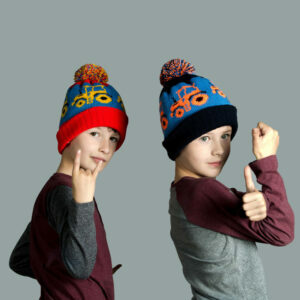 Knit with a double layer of soft acrylic yarn, this hat is both comfortable and durable. 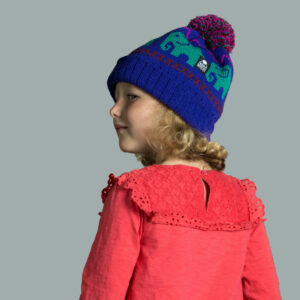 It can be worn with the rib section rolled up or down to change the style and a layer of warmth. 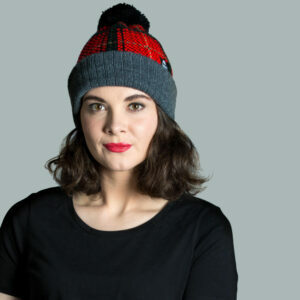 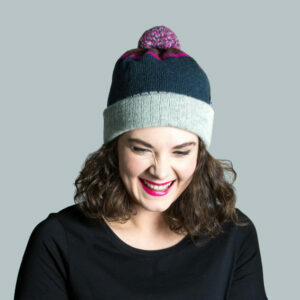 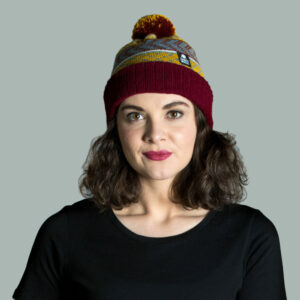 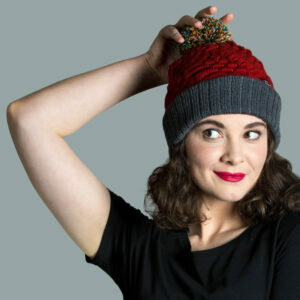 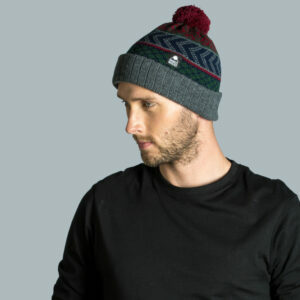 We’ve topped off this hat with a soft multi coloured pompom to complement the design.